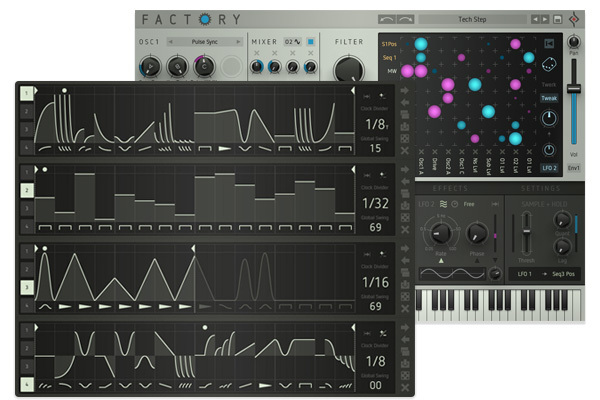 Factory | Liquid Modular Synthesizer. 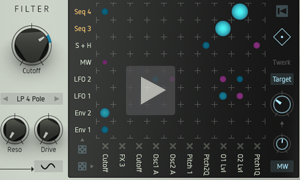 Modular Synthesizer for complex and organic sounds. 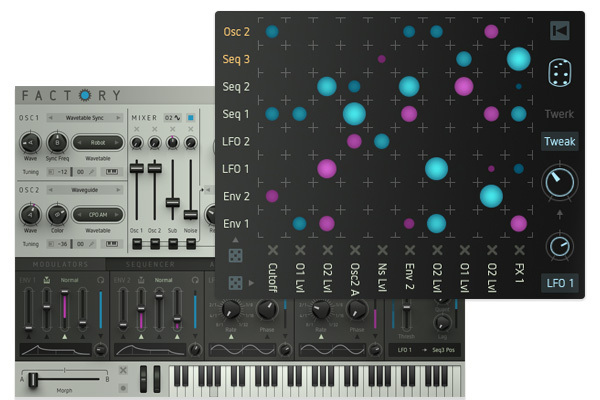 Choose from the most particular synthesis methods, let yourself be charmed by the Matrix and morph between the most improbable variations of your sound. 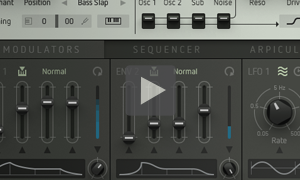 Four sequencers are pulling the strings behind the curtain. Factory is polyphonic supersonics! Evolve your sound with minimal effort! 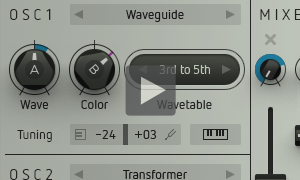 The 2 oscillators are the tonal ore and each of their 10 different modes is an instrument in its own right. Besides non-aliasing VA-Sync and fractal oscillators, we actually tackled wavetable, waveguide and FM. 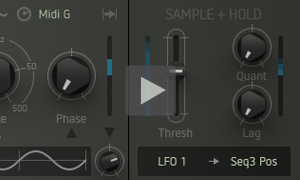 We also lifted Cyclop's complex Transformer tool and made it polyphonic: Feed your samples to the oscillators! Your beats bore the cat? 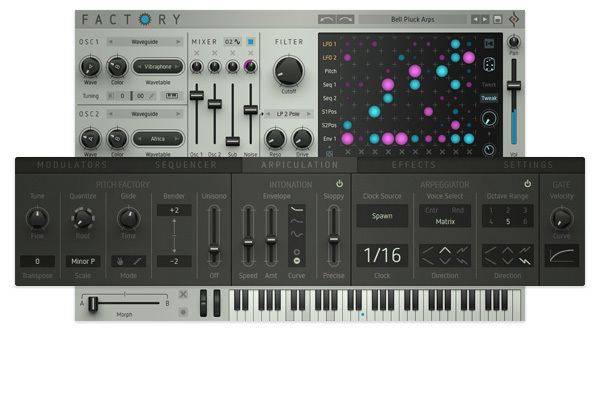 Give Factory a go and combine what no one else has combined yet! 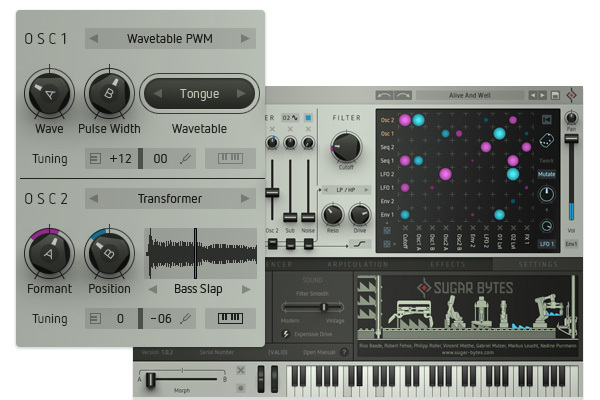 Features galore.. Looping Envelopes, Oneshot LFOs, bipolar sequencers, Sample + Hold taking it to the top. Wouldn't make sense to list everything here, but whatever you need for your sound will be there and right where it belongs. All life is imperfect, yet endlessly complex in its beauty. Organic pitch envelopes, slight fluctuation of tone, pitch-quantizing with a fine blend of scales. 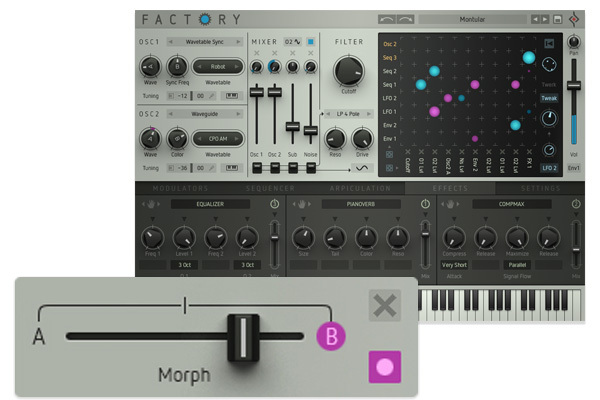 The Arpeggiator as Factory's data hydra, triggered by God knows what and voice selection via the matrix. Routing 8 sources to 10 targets makes us happy. No retro plug matrix, bipolar mod amounts get the job done. Modulatable. Morphable. And then there's the random button, an optical feast, blurrying your vision for a moment or two. The twerk section with its shenanigans. 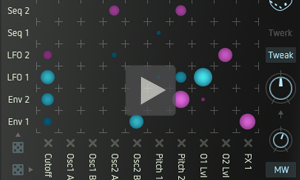 Get things done with 36 modulation targets. A must have these days. 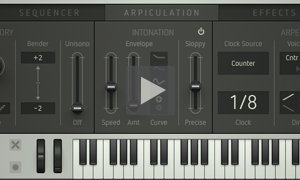 Not your average preset clicker. 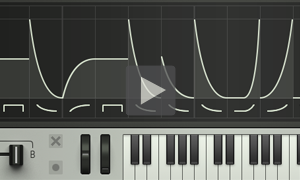 Crank the crossfader from a tricky beat to some mellow chords. 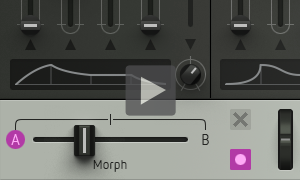 Morphing one sound into another, this is contemporary stuff. Set start and finish - then crossfade to the most gripping progessions. Each morph position can be determined as a new starting point. Sample+Hold: 36 curves with multi trigger blow out the candles of boredom. This is where the synth came from. It all began with a small matrix and this. Trigger from anywhere and sample a value from somewhere else. Quantize the result and put a lag on it! The great Tom Cosm produced a pretty comprehensive series of Factory tutorials. Each worth your while! Inspiration and creativity from the first launch. Highly addictive. 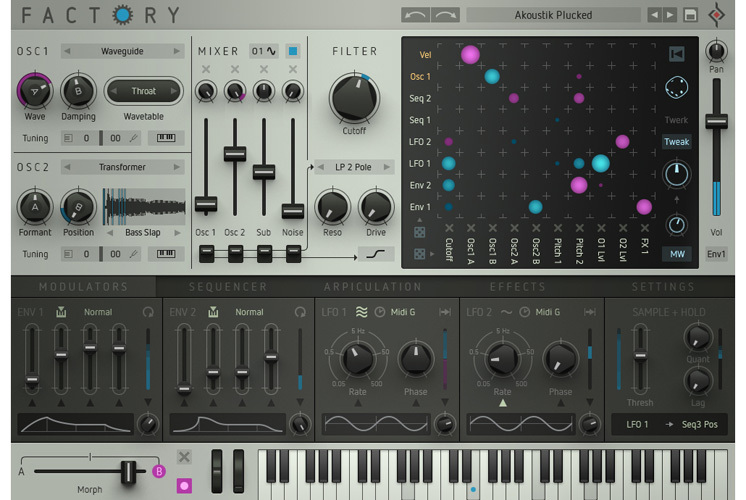 Finding the perfect sound for any genre couldn’t be easier thanks to Factory’s innovative and clearly structured preset browser. 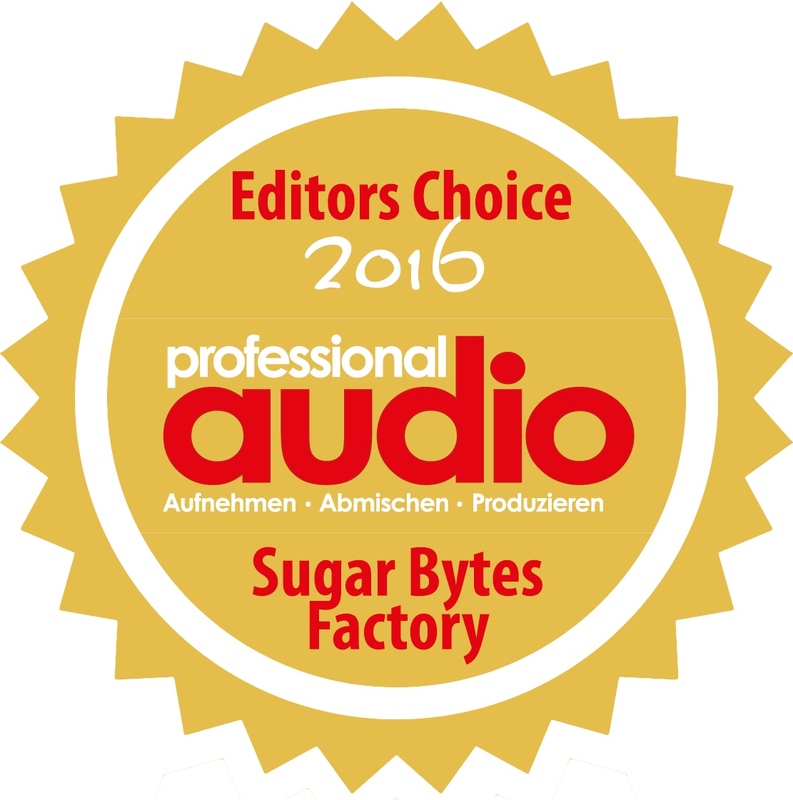 Sound designers who worked this beast for painful weeks: SolidTrax, Ryn Manning, Monolog, SiriusMo, Kabuki, SoundBits, Don Garbutt, Plaeground, Tom Cosm, Mikael Adle (Leap Into The Void) and the team here at Sugar Bytes.